The Kwara State Council of the Nigeria Union of Journalists has threatened to boycott all political activities in the state if political thugs are not cautioned against attacking journalists in the discharge of their constitutional responsibilities. The State Chairman of the Union, Comrade Umar Abdulwahab gave the warning in a statement issued to newsmen in reaction to the recent political thugs suspected to be members of the All Progressives Congress attack on the Chief correspondent of daily trust newspaper in the state, Mrs. Romoke W. Ahmad on Thursday and last Saturday's attack on Correspondents and cameramen of Channels Television, TVC, AIT and Core TV covering the governorship primaries of the party in the state. The attacks, which the Union, condemned in strong terms is the second during the week, warning against unprovoked assault on journalists in course of carrying out their lawful duties. The statement said the union would no longer tolerate attack on its members and urged security agencies to rise to the occasion. The Union however asked all politicians in the state to warn their respective thugs against violating human right and descending on journalists in the state, and cautioned that it would boycott all political activities if any journalist is attack in the state. It therefore called on the security agencies, particularly the Nigeria Police Force, Kwara State command and the State Security Services to probe the attack on journalists in the state by bringing the culprits to face justice. 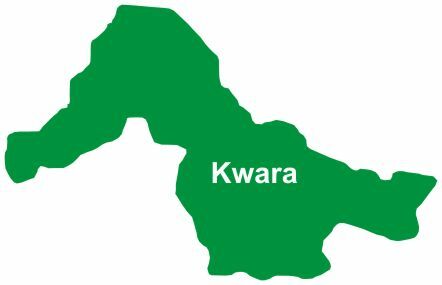 It would be recalled that hoodlums suspected to be loyalists of a governorship aspirant of the All Progressives Congress (APC) in Kwara State on Thursday descended on a chief correspondent of the Daily Trust Newspapers, Mrs. Romoke W. Ahmad, in Ilorin over allegation of negative publicity against their principal. The incident, which occurred at the APC party Secretariat located along Murtala Mohammed Way, Ilorin saw the journalist, who had gone there to cover a protest rally, being physically attacked by the hoodlums and in the ensuing melee lost some of her valuables. It was gathered that it took intervention of her colleagues and law enforcement agents before the female journalist could be rescued as the political thugs allegedly aimed to inflict severe injury in her. Narrating her experience, Mrs. Ahmad said the thugs allegedly acted on the instruction of a brother to the governorship aspirant, one Muhammed Kudu, who was at the scene. The female journalist, who said that she was deceived to attend and cover the rally organised by the Abdullahi Yaman Support Group, added that Kudu was earlier seen discussing with the thugs and pointing at her before the incident.